Fashion and beauty are such a pair and they regularly influence one and other, so a collaboration between a haircare brand and a fashion designer is always a good idea. Allow me to introduce you to the Roksanda x Toni & Guy Limited Edition Collection of haircare products, the perfect range for anyone who lives and breathes fashion & beauty! 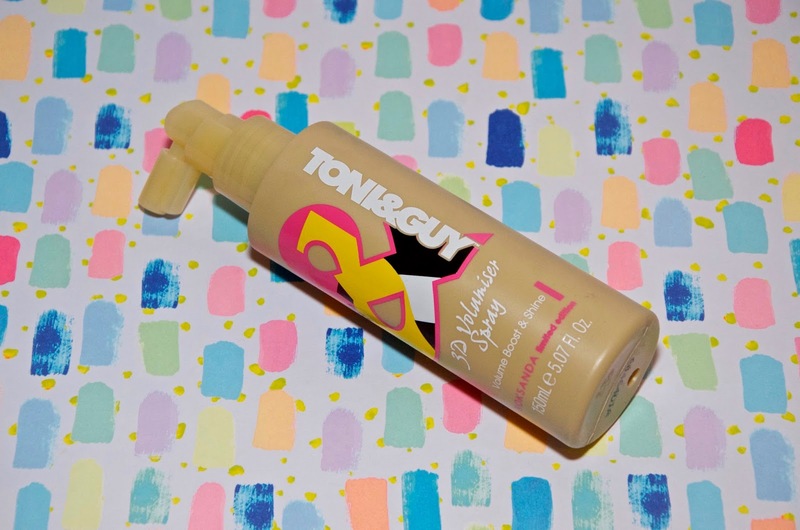 Featuring the standard line-up of products from Toni & Guy, this line is fun, whimsical and colorful to say the least. 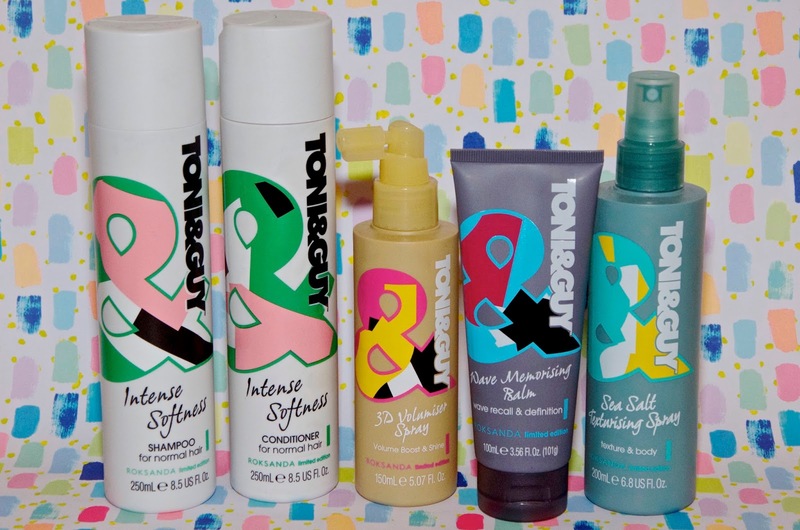 I'm a big fan of these products and I often turn to Toni & Guy when I'm looking for haircare products on the high street. The idea that these beauties are dressed by Roksanda just makes them even better... These beauties look fierce on my vanity and lined up in my shower! For anyone who isn't familiar with Roksanda Illincic, she's a London Fashion Week veteran who has been wowing the fashion world with her unique designs for a decade. Using shape and bold colors as her tools, she is a wonderful fashion designer creating designs for women by a woman that any modern fashionista would be happy to wear. "When getting dressed, I always start with one story piece and work out the rest of my outfit from there. For me, this is usually a dress or a skirt that I love but equally it could be said of your hair. My signature design aesthetic is my use of bold block colour so it made perfect sense to lend this for my TONI&GUY designs." Each piece in the Roksanda x Toni & Guy Collection features bold colors and graphics, staying true to Roksanda Illincic's signature style. From bright greens with bold yellow or subtle pink to combinations of red, blue, black and grey, these products are dressed to impress and while I plan to hoard mine all for myself, I'd definitely recommend these products for stocking fillers this Christmas. Not only are the products great, but this limited edition collection is so fun and colorful, especially if you're giving it to someone who adores fashion. As far as the products go, I'm a big fan of the Intense Softness Shampoo and Conditioner - they're great for everyday, soft and manageable hair. 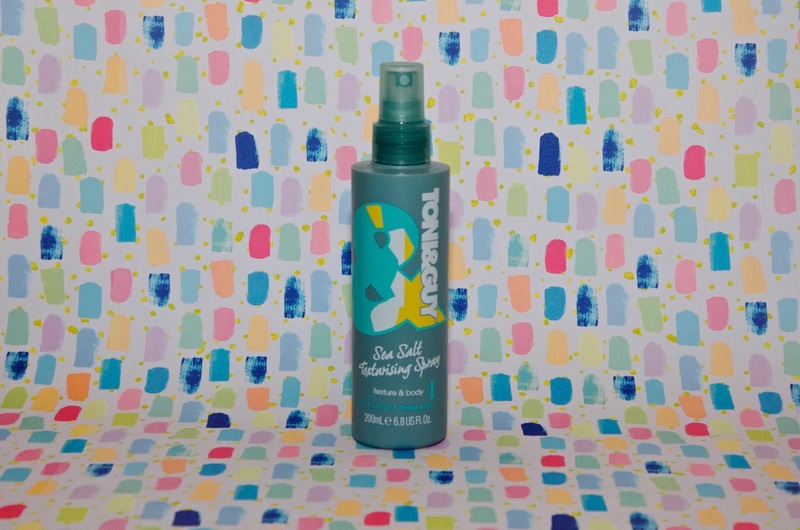 I'm also a big fan of the Sea Salt Texturising Spray, which is a product that I've been using quite regularly for about a year or so. I love this product for getting good texture when I wear my hair in curls or waves. I normally curl my hair and then deconstruct my curls using my fingers with the Classic Wave Memoriser in my hands or a hair oil. I then lightly spritz my hair all over with a sea salt spray and scrunch with my hands or run my fingers through, depending on what kind of texture and volume I'm aiming for. I then finish with hairspray. When my hair is not freshly curled, I often use these products anyway to revive any waves left over from my style the day before... I can usually get two or three days out of my curls or waves this way, making my hair a lot more convenient than it would be if I had to do it from scratch every single day. 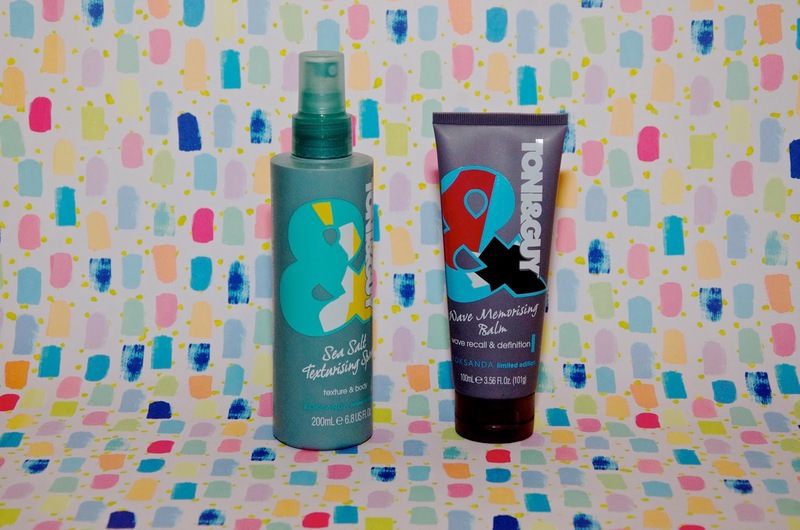 The Roksanda x Toni & Guy Collection is limited edition and available online from Boots, so get it while you can!